This book starts with basic knowledge of bone physiology, structure of bone, growth of bone, types of joints and fracture, and develops the subject in all aspects of orthopaedics, including trauma and cold pathology. This book presents an exhaustive and up-to-date exposition of nutrition and food requirements during the normal stages of life as well as during cases of various diseases suggested by ICMR. 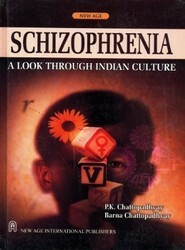 Written for those who are concerned with an introduction to the topic of schizophrenia in particular context to Indian culture, this title pays substantive attention to cross cultural research findings as an aid in understanding the impact of culture in symptomatology. It also depicts vocational training and psychosocial rehabilitation programmes.